WRAP IT UP, THEN RACK IT UP! Whether you're a serious cyclist who's always on the move between competitions, CUCKOO COVERS' aerodynamic-tight look and fit is a result of rigorours road testing, offering maximum protection and reduced crosswind noise. 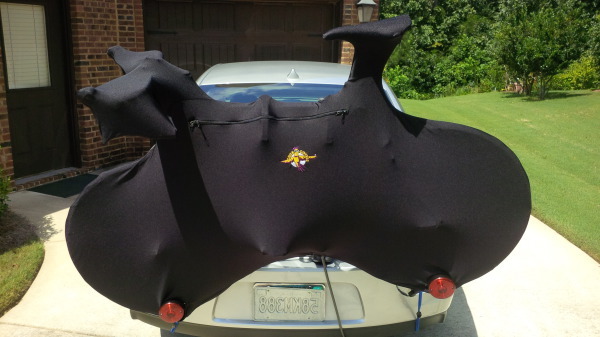 CUCKOO COVERS will make your vehichle carrier racks, look completely out of this world! Bicycles parts and accessories cost a lot of money, unfortunately, there are times when you have to actually carry your bike with you. At CUCKOO COVERS, we could not bear leaving our bike's components exposed to the harsh elements, durning transport, CUCKOO BICYCLE COVERS designed a RADICAL NEW, bicycle cover. WHEEL-MOUNT & FORK-MOUNT COVERS are chic and most attractive while transporting or storage of bike on vehiche carrier racks. CUCKOO BICYCLE COVERS aerodynamics snug fit provides for better stabilization of crosswinds when transporting bike on vehicle roof or rear carrier racks. CUCKOO COVERS are designed to fit the high-end bicycles. 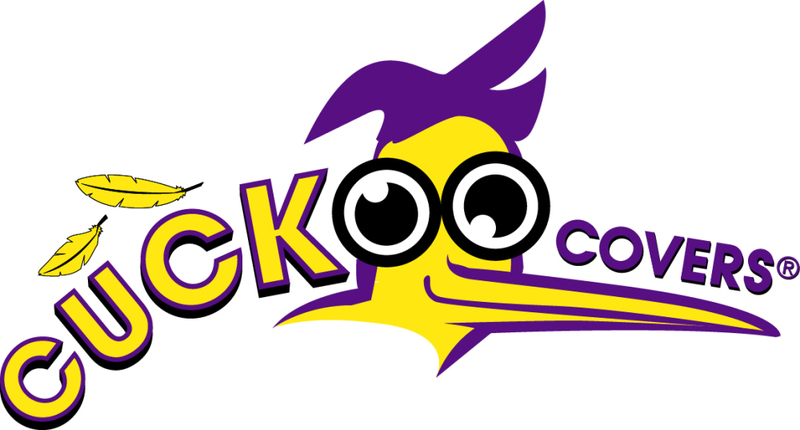 CUCKOO COVERS are ideal for the competitor ON THE MOVE! costom designed covers are made of 82% Nylon/ Laycra & 18% Spandex, fit bicycles of several types. RADICAL NEW! bike cover designed to fit BIKE FRAME like a glove. There's nothing on the market quite like CUCKOO BICYCLE COVERS. SO WRAP IT UP! protect your bicycle's components. CUCKOO COVERS designed two different mount-styles, Wheel-mount & Fork-mount, with a Wheel-Bag opitional for fork-mount cover. 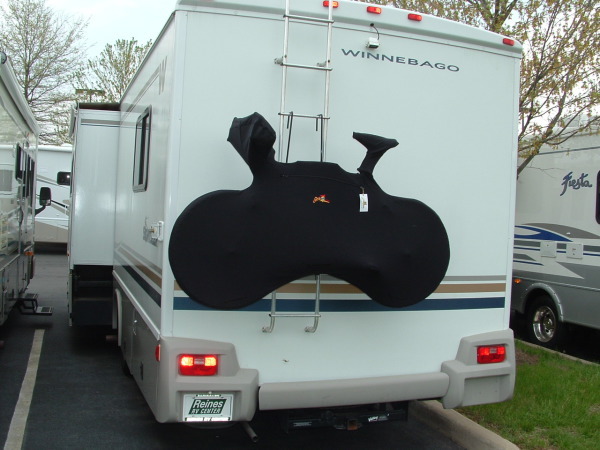 Cuckoo Covers will fit comfortably on rear carrier racks, just take time not to block vehicle rear view or brake lights when transporting covered bicycle.